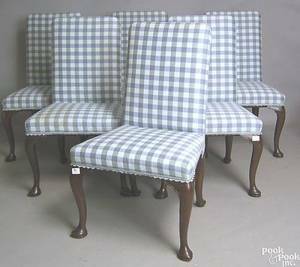 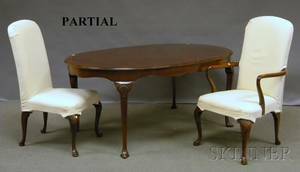 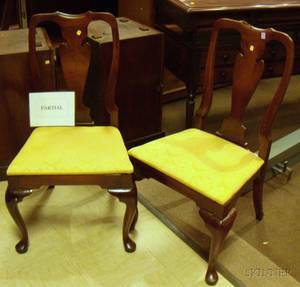 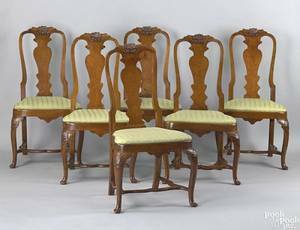 In walnut with Balloon Seats, 20th C. 42"H x 19 1/4"W x 15"D, seat height: 18 1/2"
Set of Four Hickory Queen Anne Style Mahogany Side Chairs with Upholstered Seats. 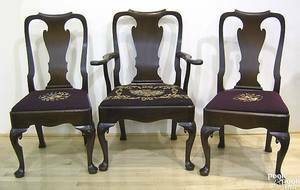 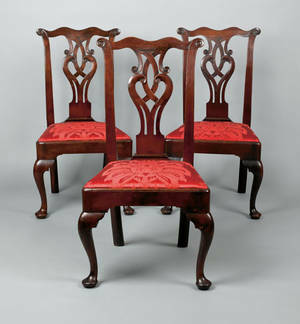 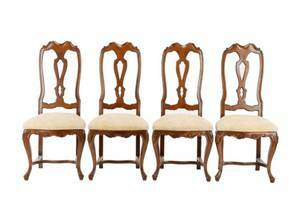 Set of 6 Williamsburg Queen Anne reproduction mahogany upholstered dining chairs. 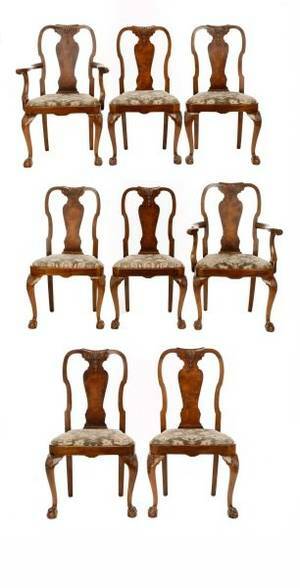 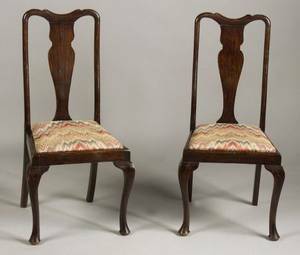 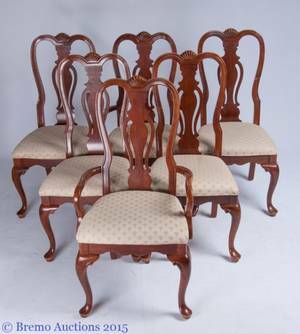 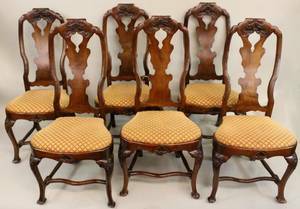 Set of 6 Irish Queen Anne oak dining chairs, late 18th c.